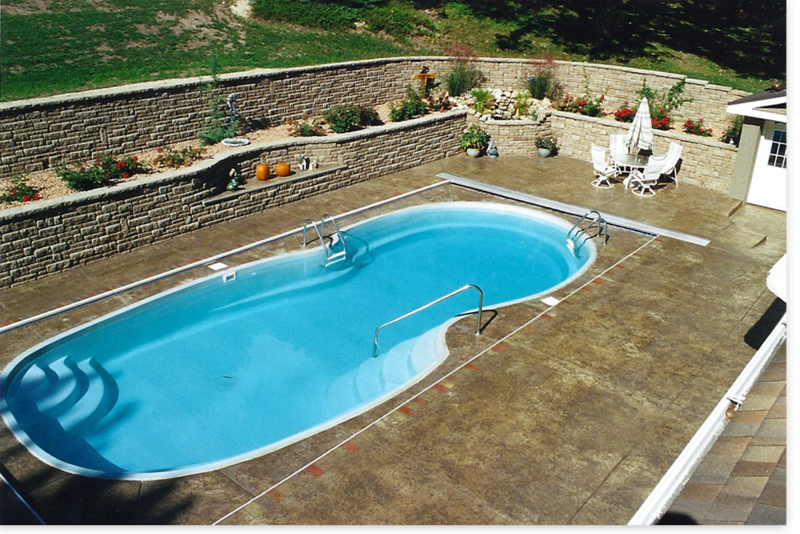 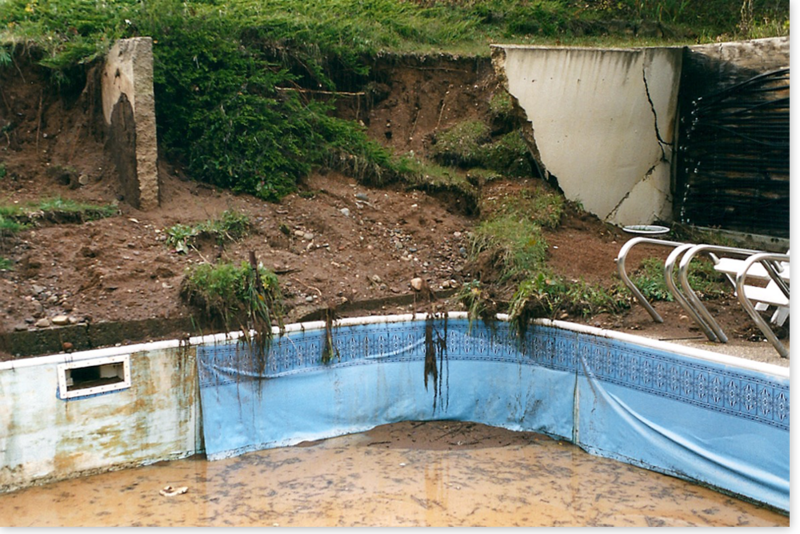 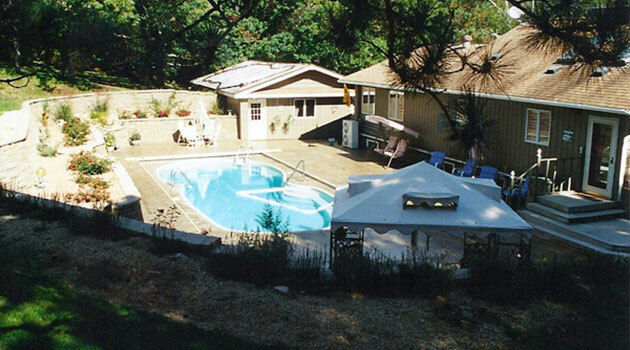 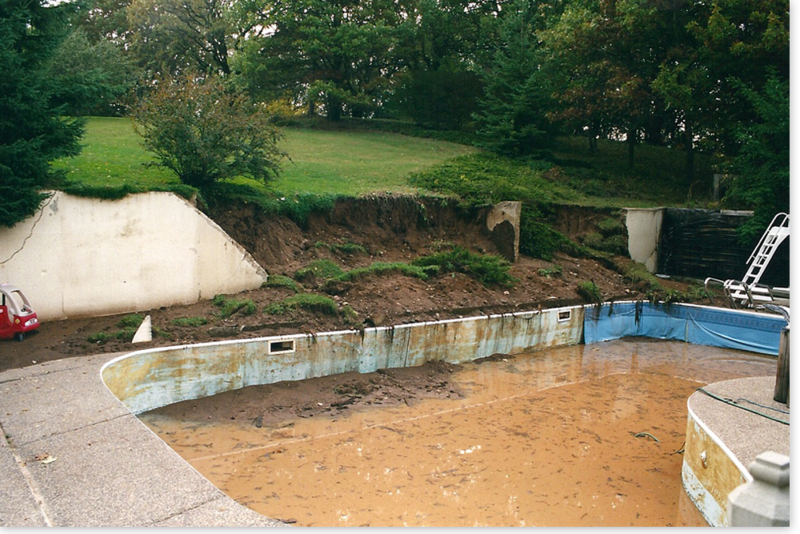 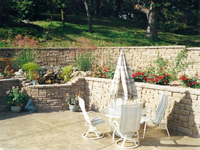 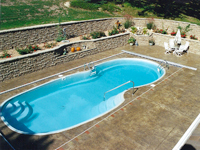 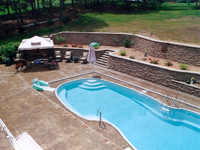 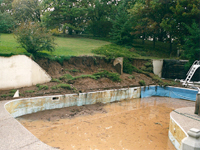 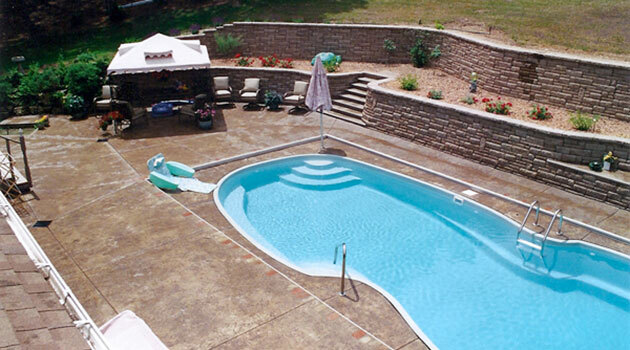 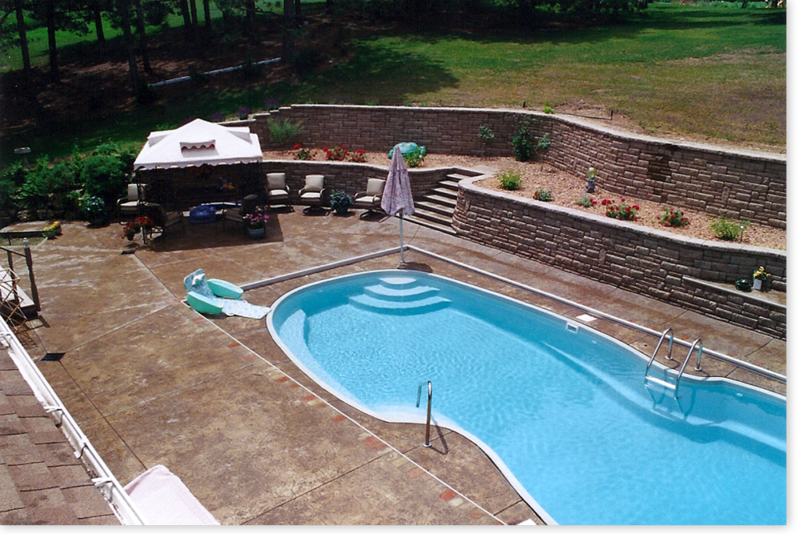 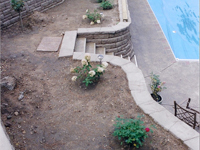 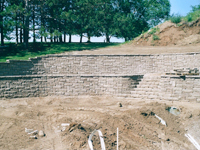 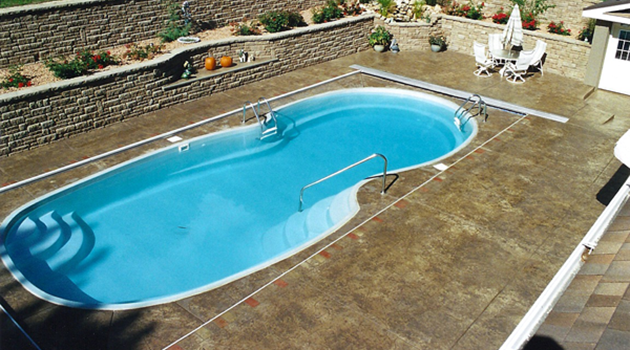 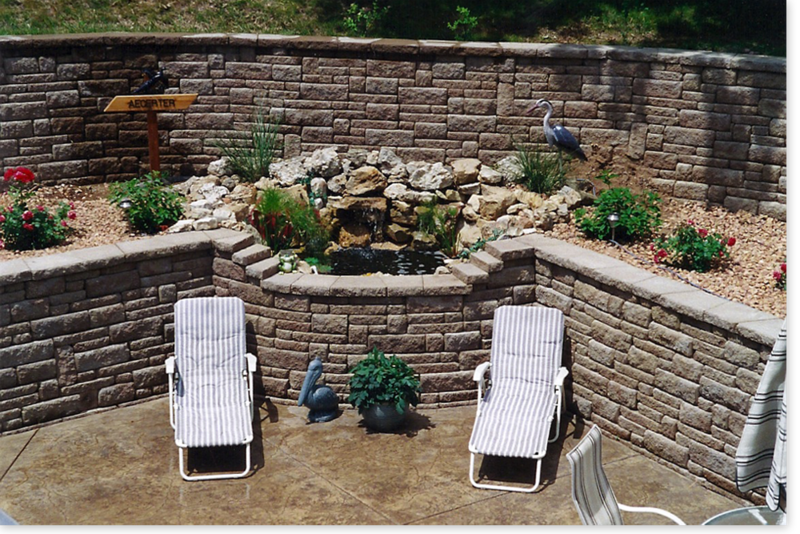 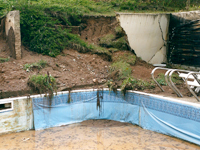 This pool was destroyed after a lightening strike on a retaining wall, which collapsed into the pool. 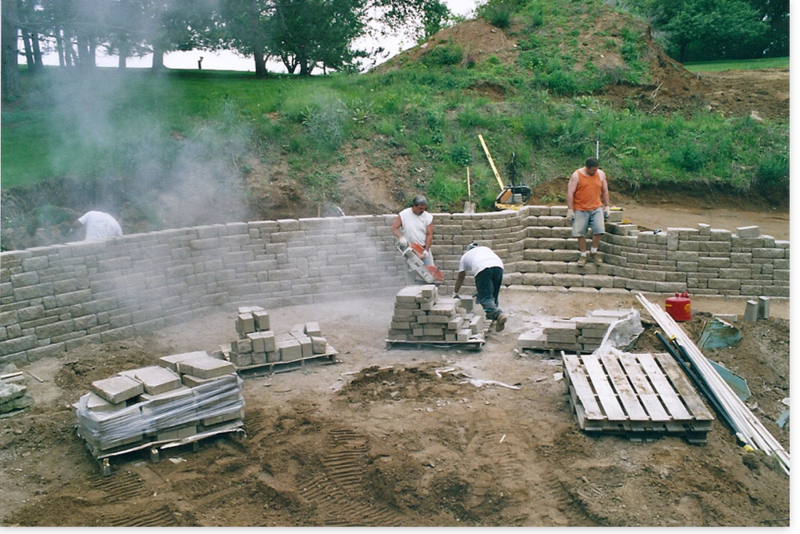 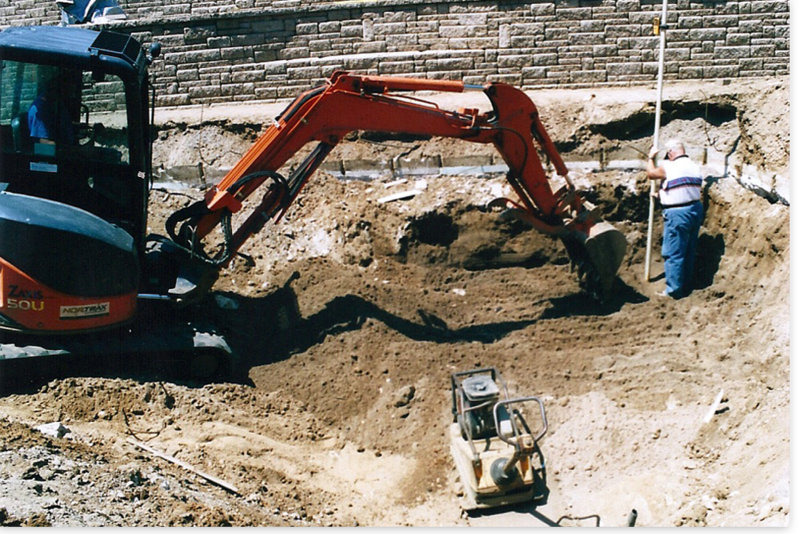 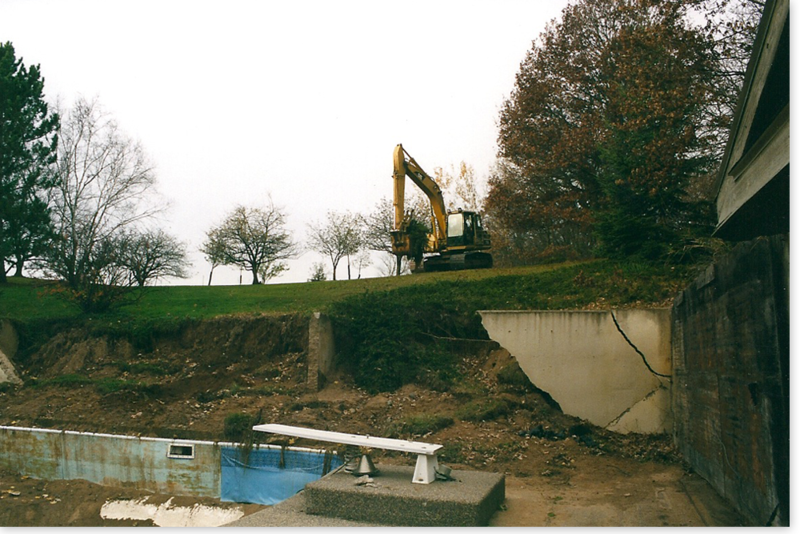 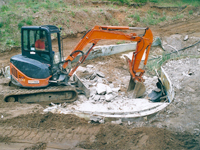 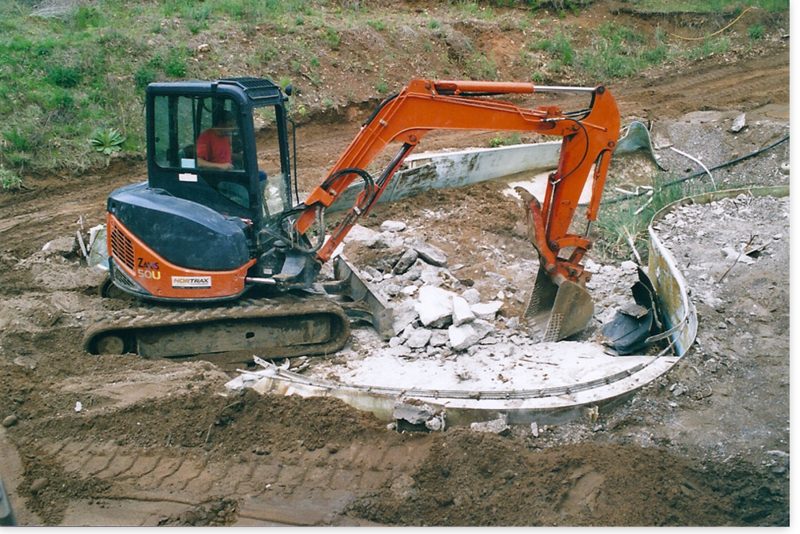 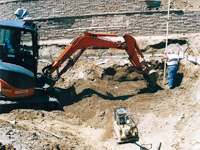 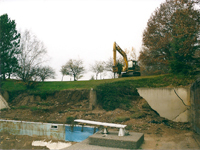 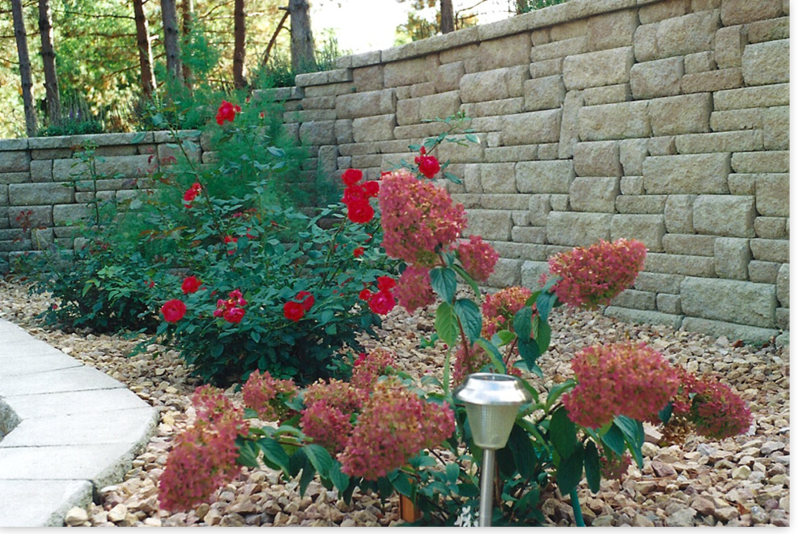 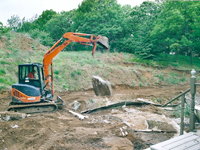 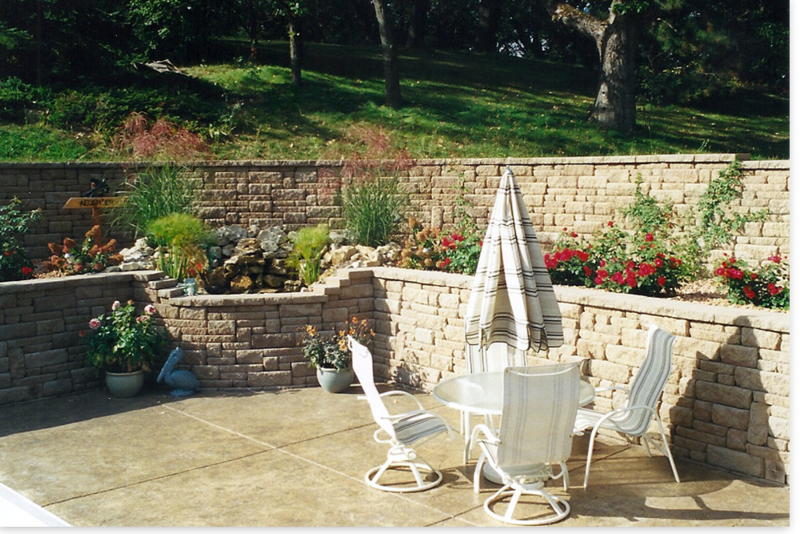 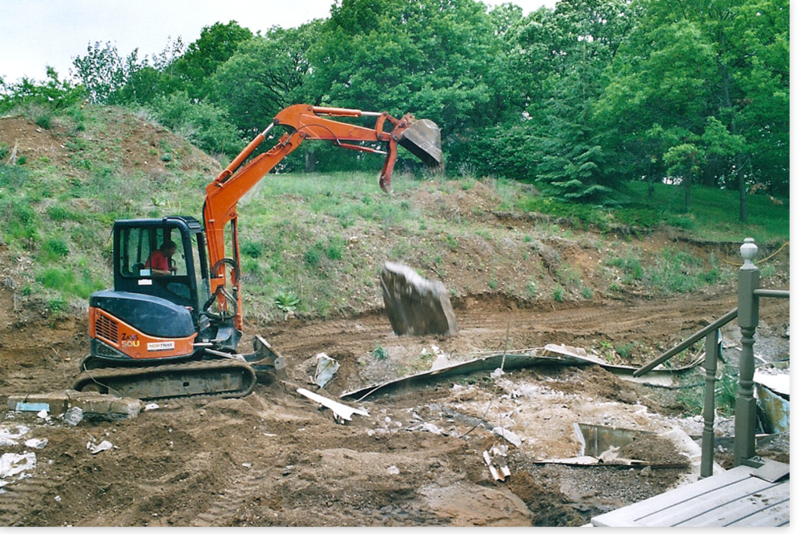 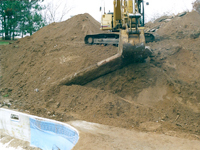 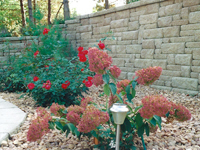 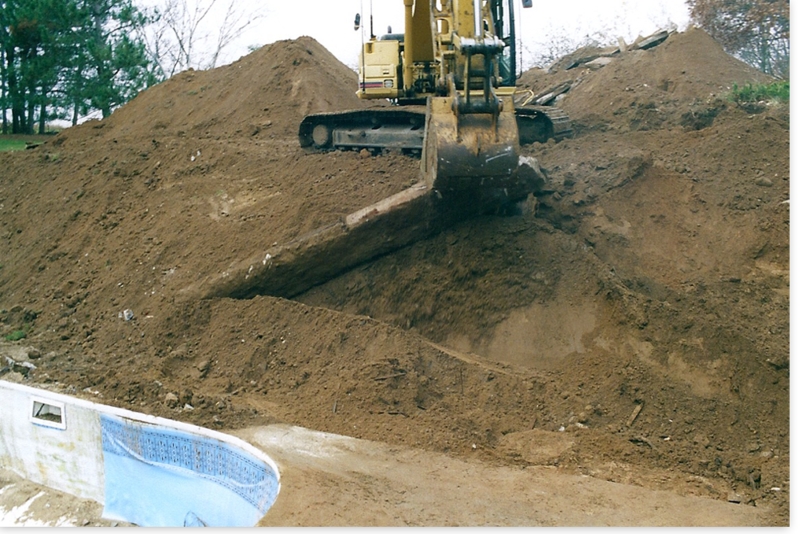 We started the project by the demolition of the destroyed retaining wall and swimming pool, and removing all the debris. 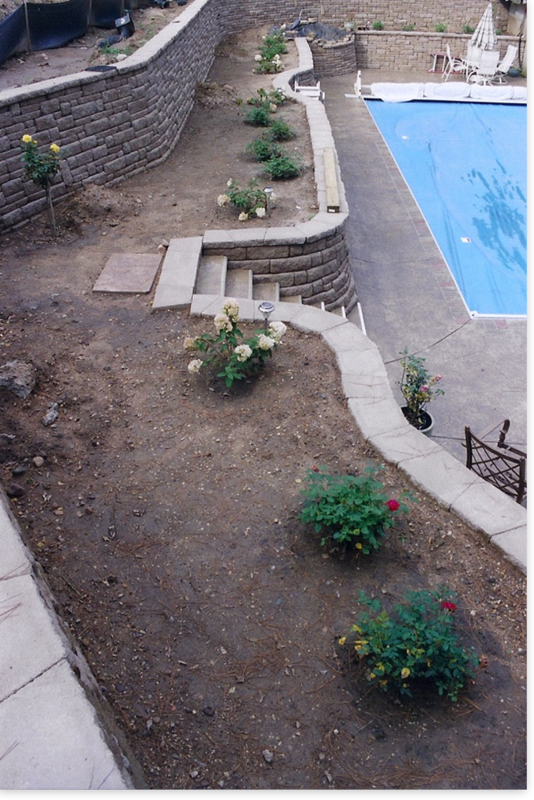 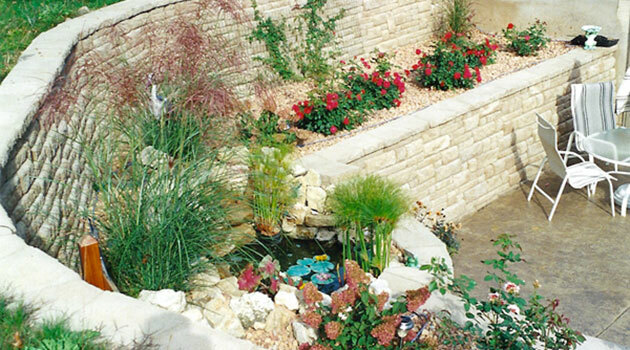 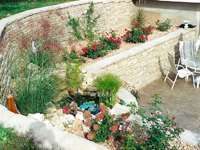 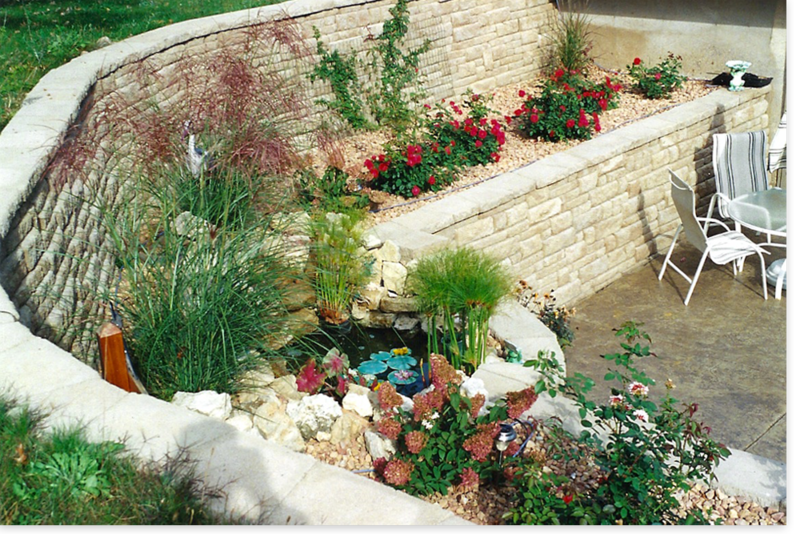 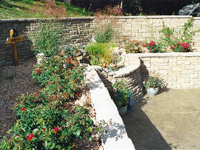 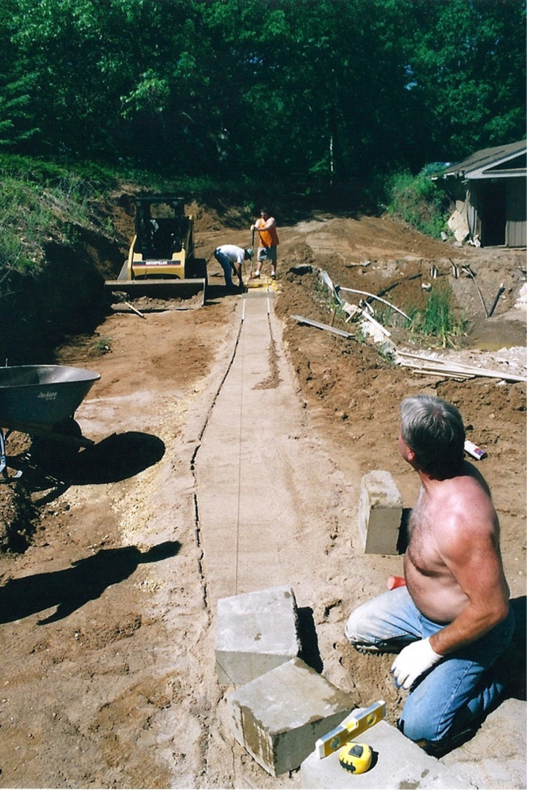 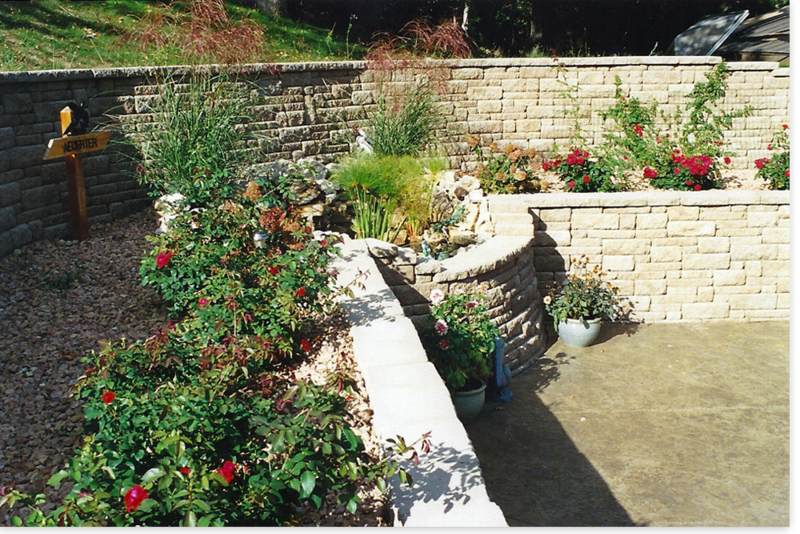 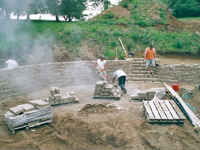 Next, we started to build the new retaining walls with bench seating, steps leading to the new flower gardens, and a fish pond with a waterfall. 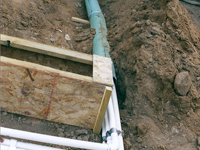 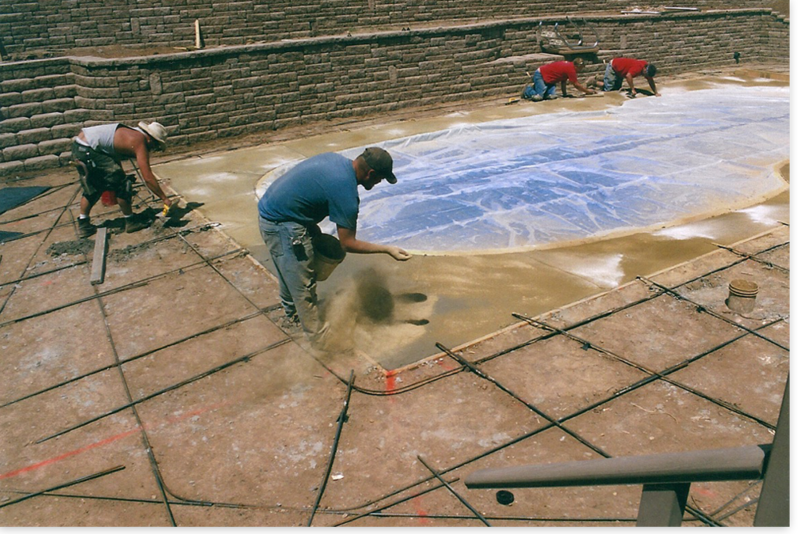 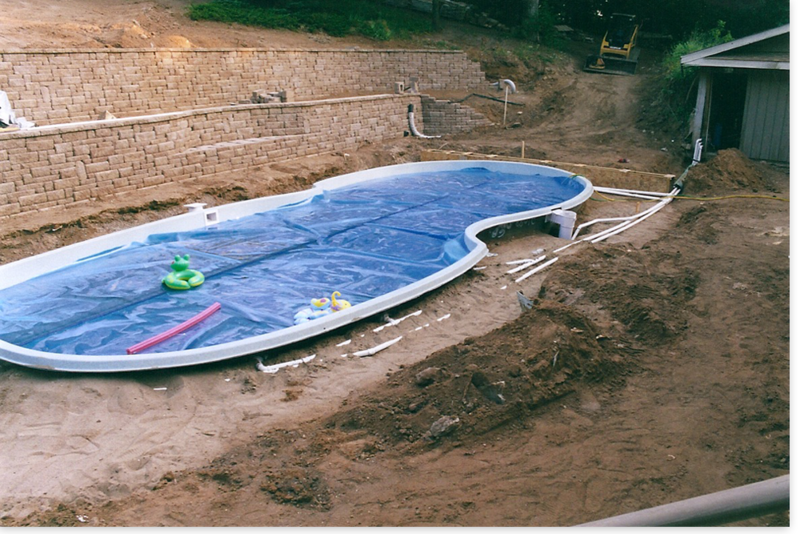 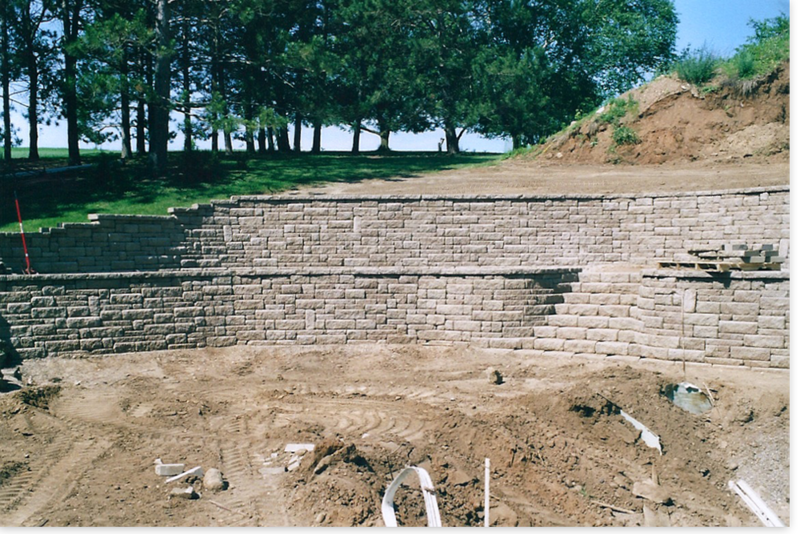 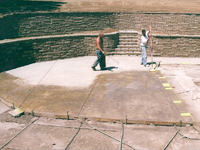 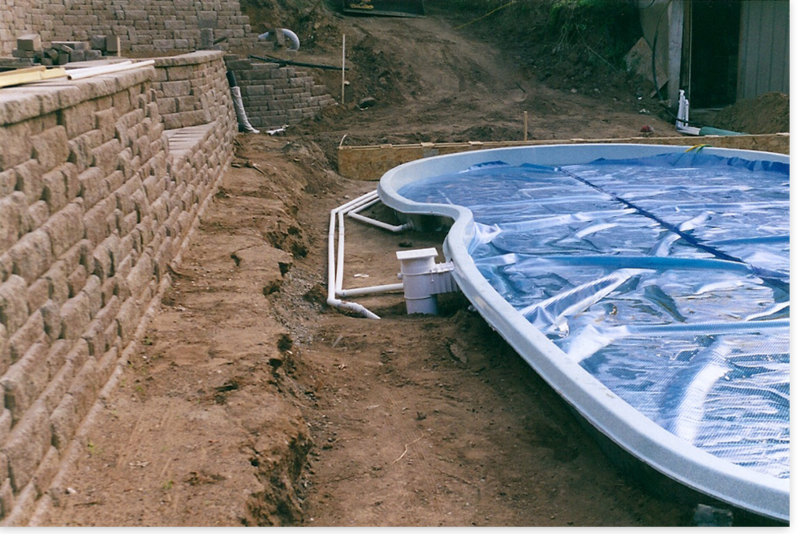 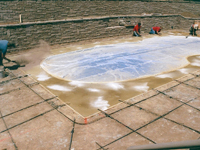 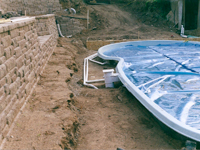 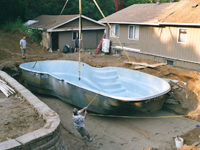 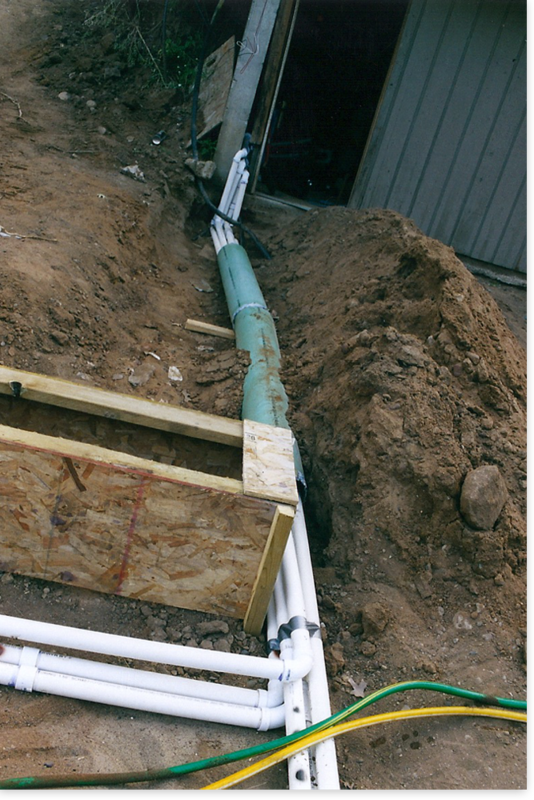 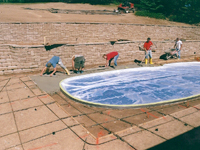 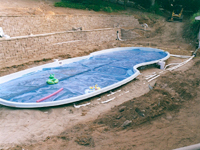 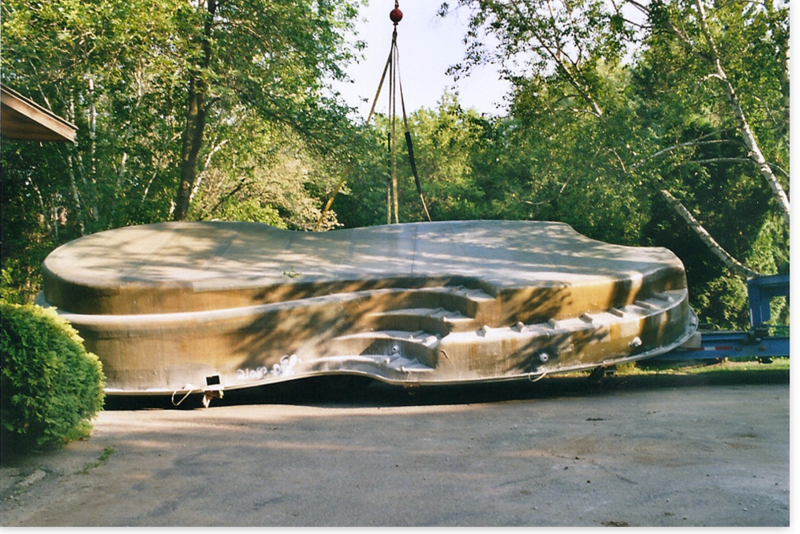 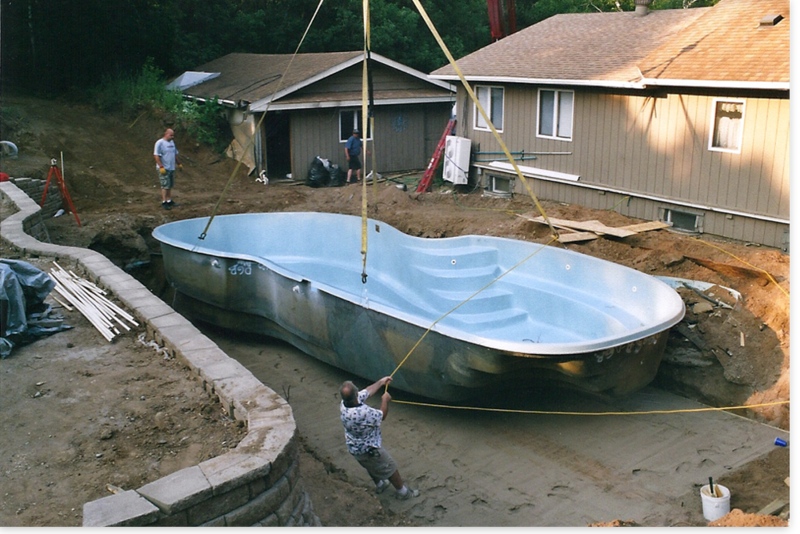 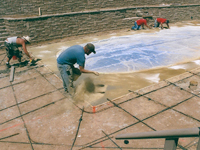 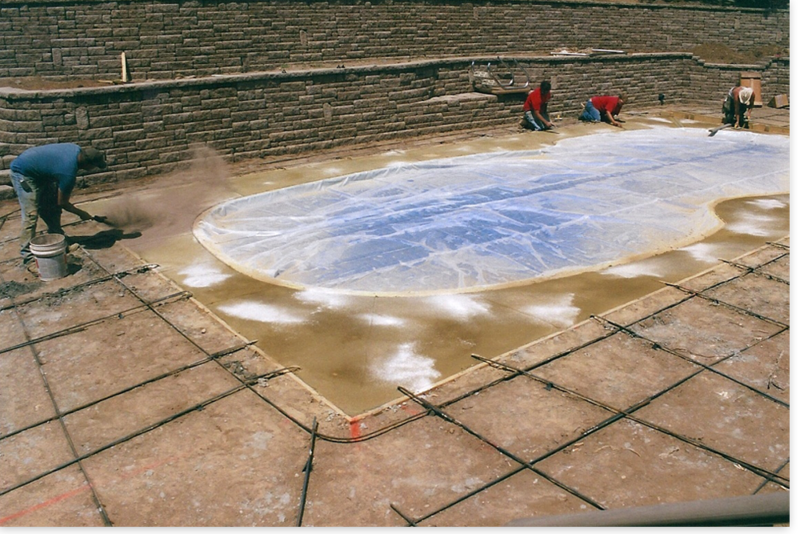 The site was then prepared for the delivery and installation of the new one piece fiber glass pool. 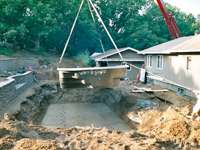 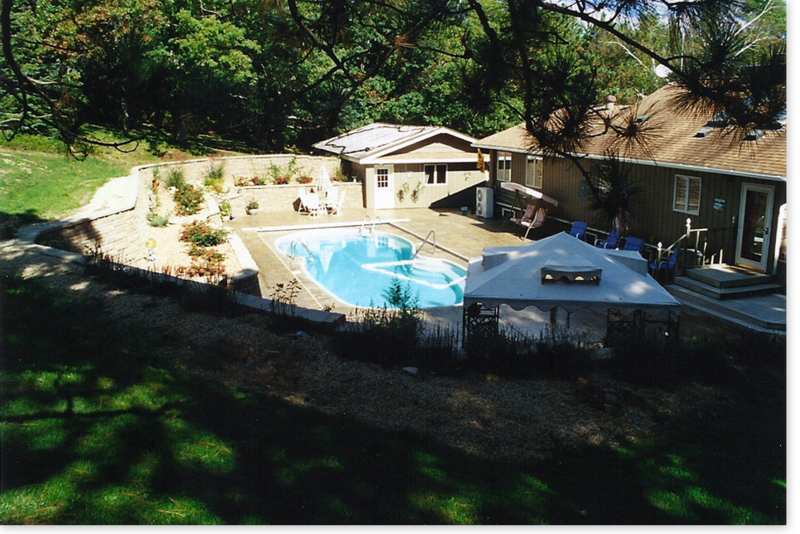 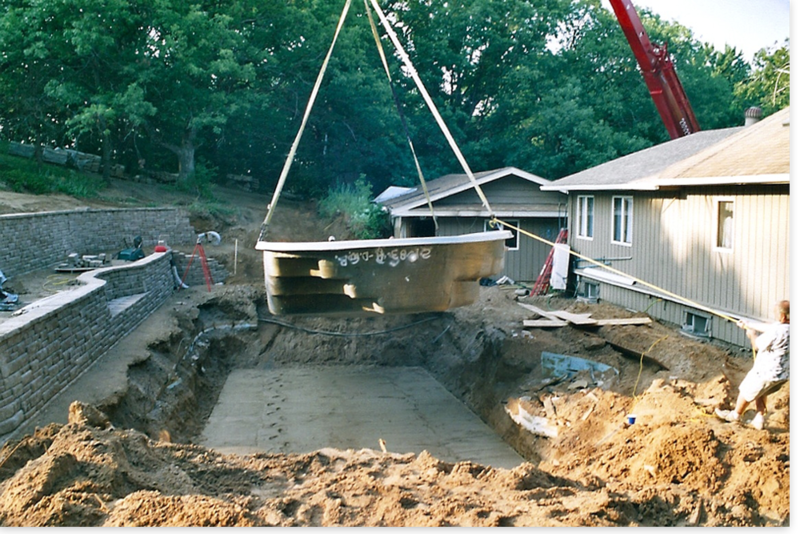 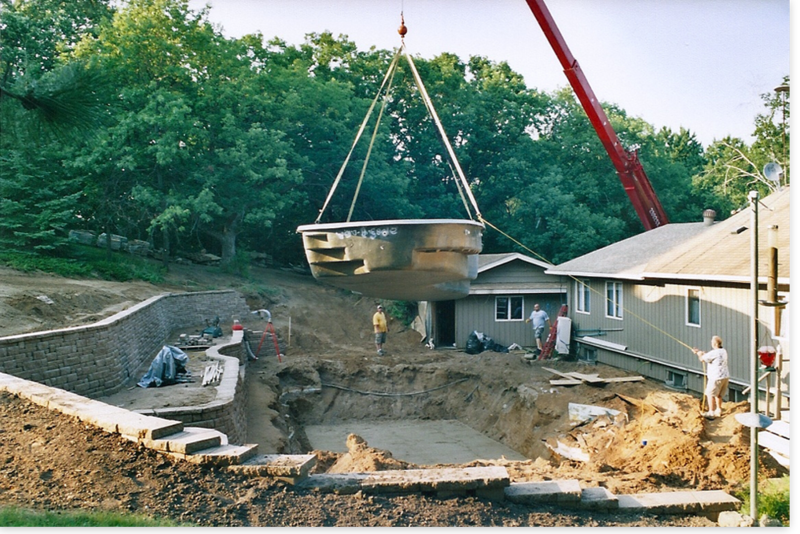 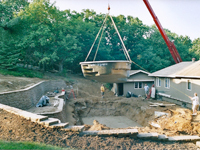 The pool was delivered and installed by crane right up and over the house and garage, and put into place. 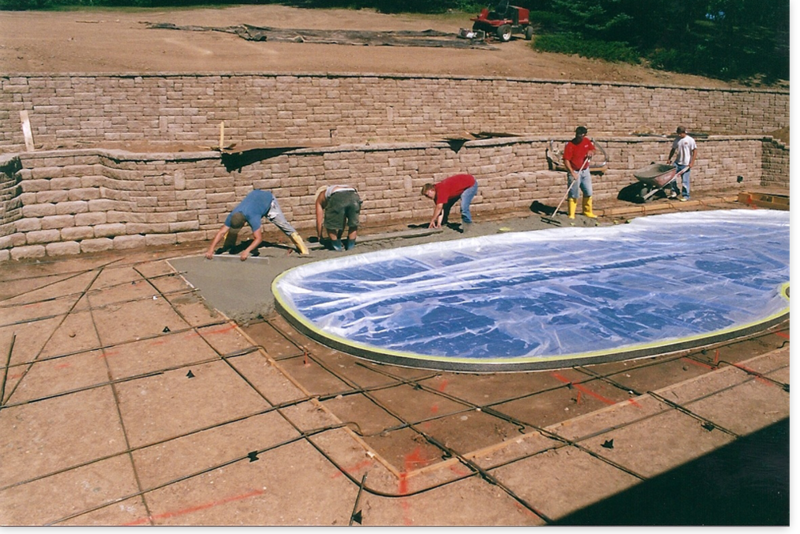 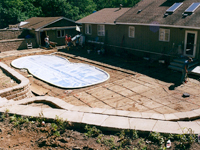 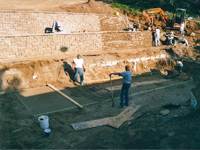 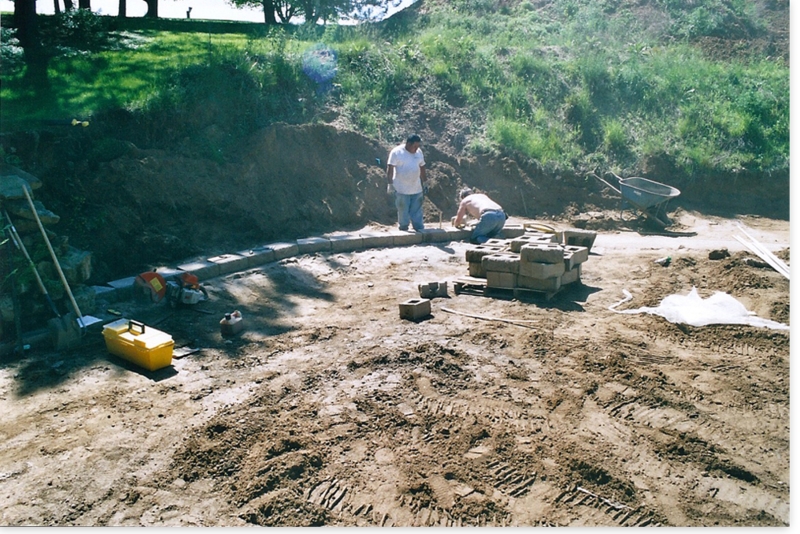 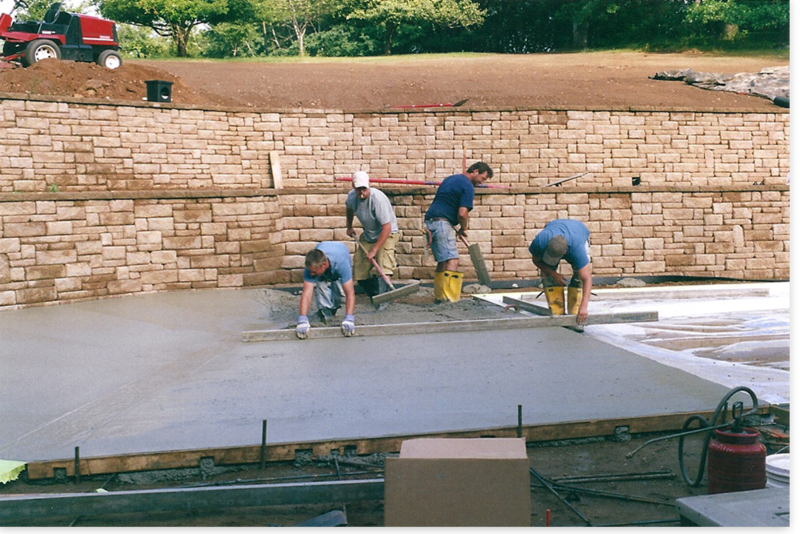 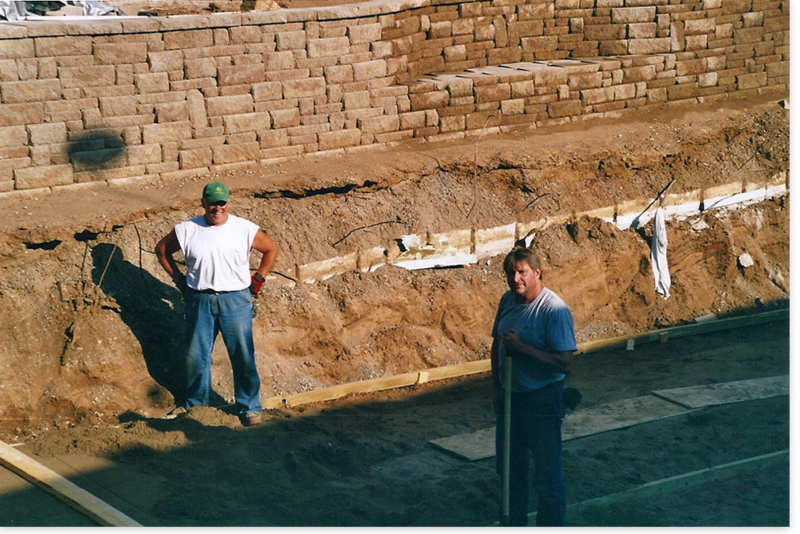 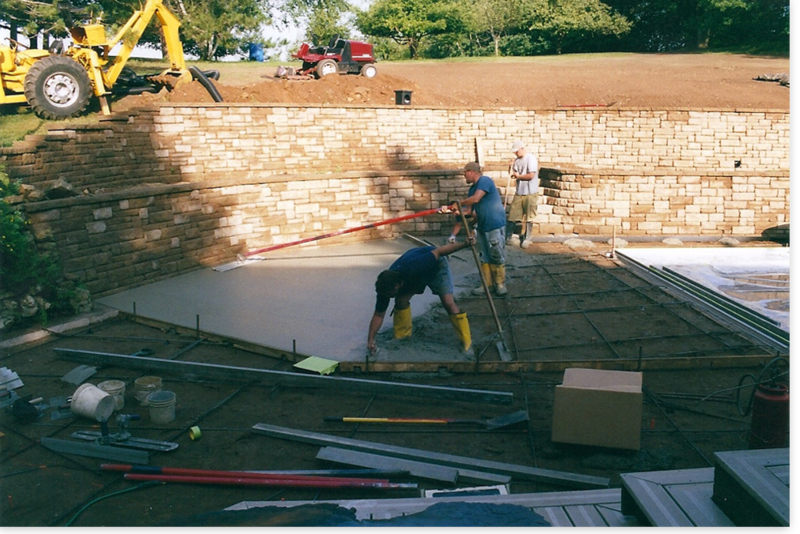 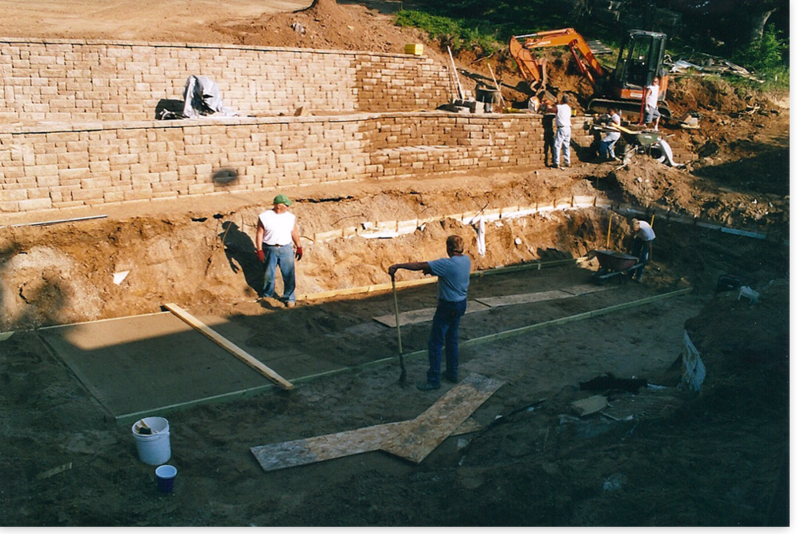 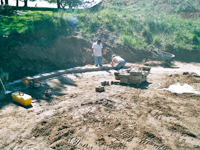 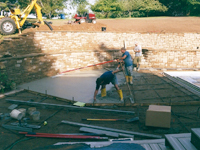 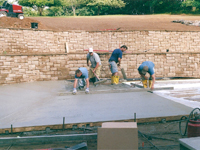 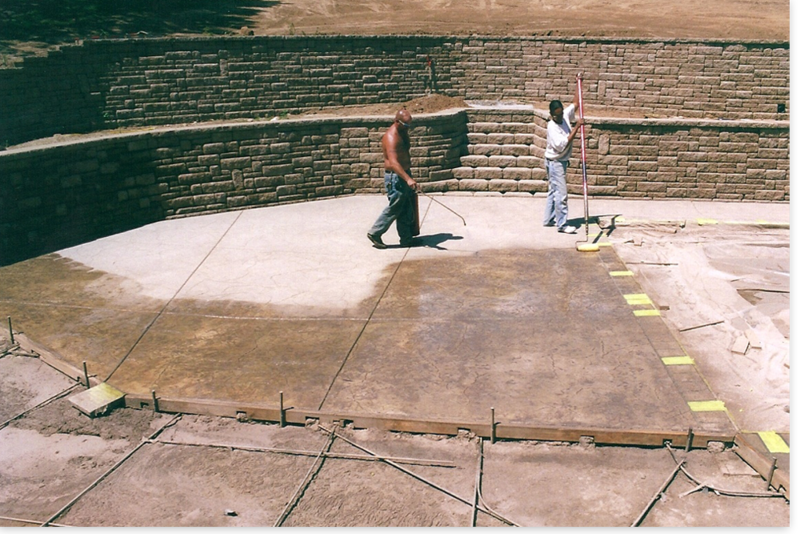 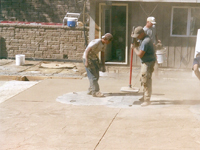 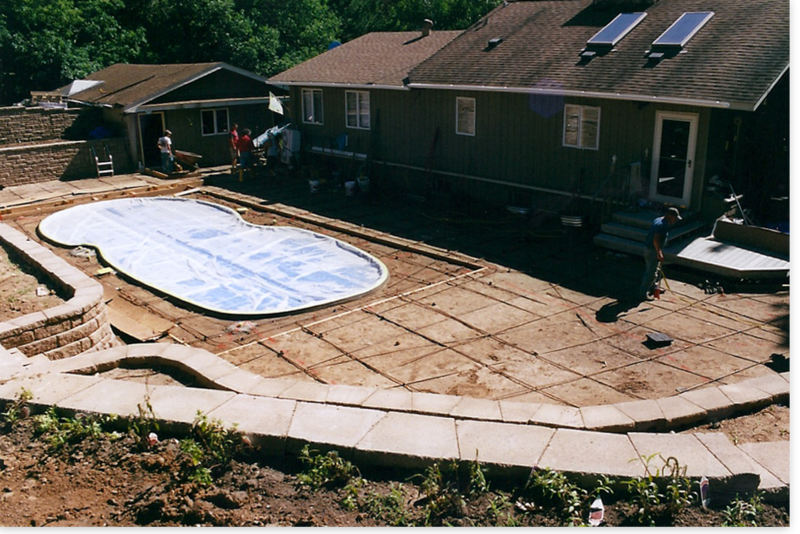 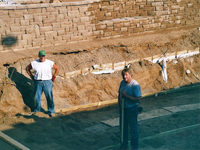 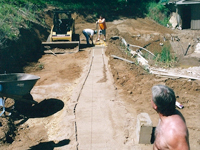 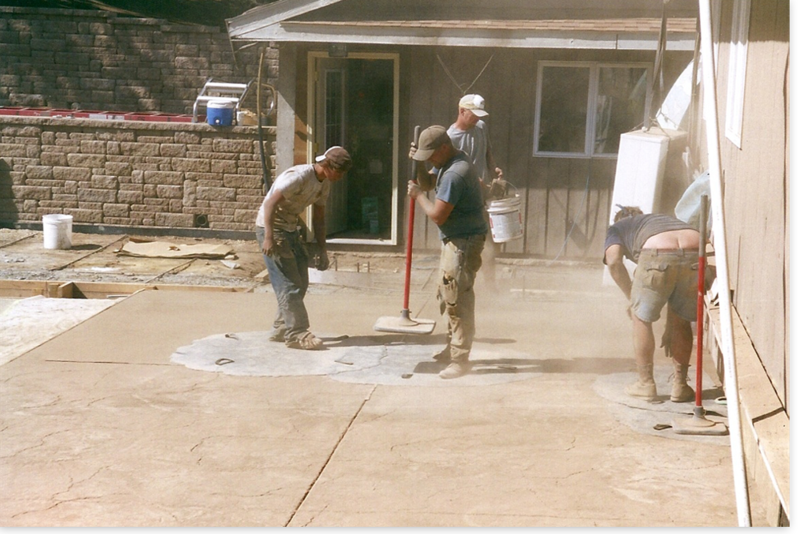 The backfilling around the pool and the installation of the plumbing was then completed, followed by the process of pouring, coloring, and stamping the concrete around the pool. 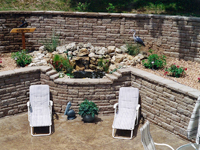 Finally, the flowers, bushes, lighting, and plants in the fish pond were installed. 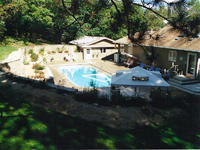 The final product is ready to enjoy for a lifetime.